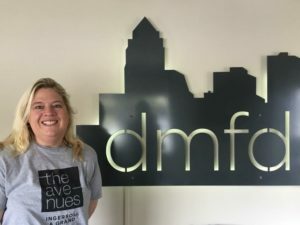 Des Moines Family Dentistry is comprised of a team of experienced and energetic people whose goal is to communicate well with our patients and provide the best care possible! Our lead dental assistant, June Canfield, has been working in the dental field for almost 25 years. She has been a dental assistant for 18 years and has always enjoyed the variety of each day in the dental office. Helping patients feel comfortable in the dental chair, as well as helping restore a patient’s smile, are what she likes best about working in the dental field. In her free time, June and her husband enjoy traveling to Northern Minnesota. Our Registered Dental Hygienist, Melissa Newman, has worked in the dental field for more than two years. She has always been passionate about oral health, and enjoys educating her patients about the impact oral health has on their overall health. Her favorite part of her job is being able to meet and get to know her patients on a personal level. Melissa enjoys helping her personal level. 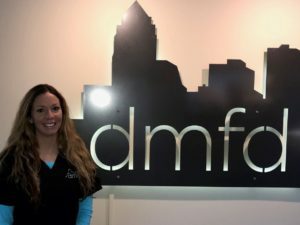 Melissa has been told repeatedly by her patients that she has a very gentle touch and in turn makes their experience getting their teeth cleaned more comfortable. When she is not working, Melissa enjoys spending time with her husband and two children.